Highland Village and Jackson Academy will kick off a fun, new gathering for the JA community August 23! JA will converge on the courtyard of Highland Village for a live Raider Network broadcast featuring all things JA with Bryan Eubank. Buffalo Peak Outfitters, the sponsor of the first live broadcast, will provide offers for attendees and a giveaway valued at $150. Broadcasts are scheduled for each Tuesday at 5:30 p.m. from August 23-November 1, except for October 18. Pre-broadcast activities by Highland Village begin at 4:30 p.m. Each week, Highland Village will offer discounts to different stores or restaurants, as well as food, music, and games. JA academic divisions, athletic teams, spirit teams, bands, JAA, Booster Club, and performing groups can use this as an opportunity to perform and to promote their activities and upcoming events through interviews with Bryan Eubank. School spirit will be at an all time high as we learn about upcoming events, get the latest on athletics, hear from students and alumni, and connect with other LeFleur East businesses and sponsors. Each week JA at the Village will feature different students, programs, and merchant sponsors. Look for more information next week about what’s to come! 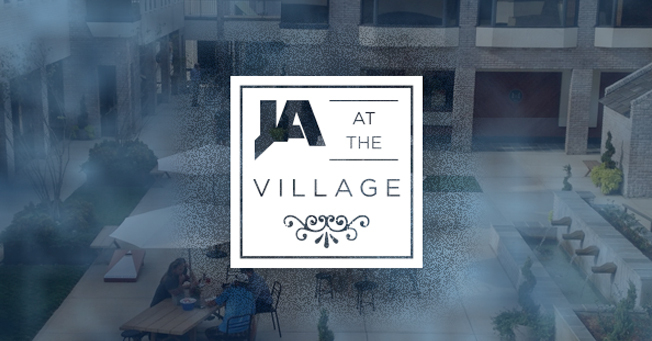 JA at the Village is going to be a fun place for JA families and friends to gather.